Not sure if this copied over correctly. Just wanting to get some feedback on this work in progress. Last edited by ceecee73 : 12-02-2014 at 04:55 AM. I'm wondering what is it you want to accomplish with this piece? Is it a portrait? The hair on the side of his head distracts my eye, but that could be because I don't see it from several angles. The hair line on his forehead is too sharp. Look in the mirror and you will see what I mean. His left eye seems distorted, but again, a shot from another angle would help. His skin seems to have no texture—wrinkles in his forehead for instance. Of course, as you said, it's a work in progress. Over all he is lifelike. I look at him and think, "That's a real person. He just wants more detail." I want this piece to read as a real living, breathing person. Yes, it is a portrait. Thank you for your honest feedback. This is helpful. I am just getting started with sculpture so this gives me areas I need to give attention to. I will take note of what you said. I second set of eyes is the best. Last edited by ceecee73 : 12-01-2014 at 09:04 PM. 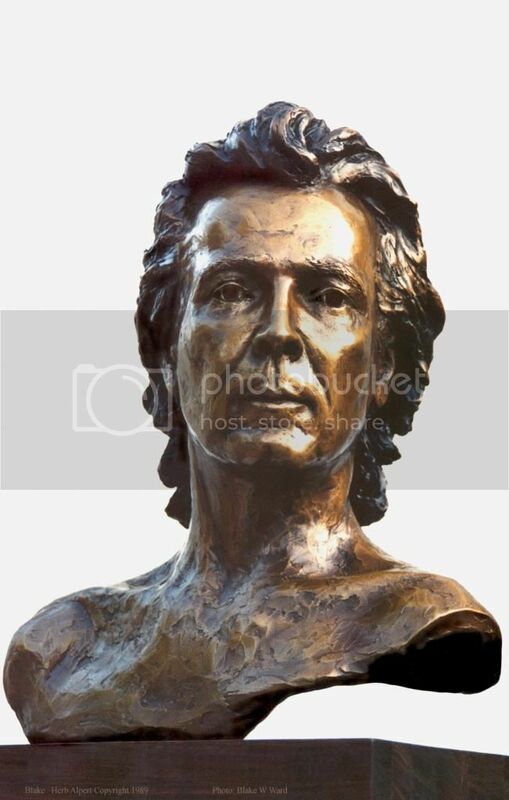 The thing to bear in mind with any portrait sculpture is that you need to work with the character of the materials. If you want a very high level or realism you need to consider not only the geometric form but thing like the texture and transparency of the surface. There is also the issue that you are never going to be able to sculpt things like hair and eyes from a single material with total realism. In things like theatrical prop making, special effects or indeed waxworks, creating a human head will often involve several specialist disciplines, so you might have a sculptor, wig maker, painter and glass eye maker as well as several mould making and casting stages. With this in mind, if you are aiming to work in a single material, like clay, stone of bronze then total realism is not achievable and indeed sometimes the more you try to achieve it the more artificial the overall effect becomes. Instead you need to accept the properties of the material you are working with and use them to your advantage and think in terms of capturing an impression of your subject rather than producing and exact facsimile. If you look at really good portrait busts you will often see a degree of stylisation which reflects the character of the material being used. It is a peculiarity of human perception that we will often more readily accept a well executed approximation than something which tries too hard to imitate life in every detail. The real skill comes in observing those characteristics of your subject which covey something of it's character. This also gives you much more scope to make your own creative decisions rather than being hemmed in by the limitations of a given medium. It's also important to consider that a human face is a dynamic thing and the most subtle changes in expression can convey a huge amount of meaning. Chris thank you for that. I am realizing the limitations as I get more involved. Capturing the character; the impression of certain things is what I find to be the biggest challenge. Particularly with the hair. Indeed, it's a hard thing to explain but sometimes capturing nature isn't quite the same thing as making an exact copy of something at a given moment in tme and sometimes it's the practical limitations which force you to be a bit more creative and look harder at your subject to identify the essential things which give it its character. This is especially true with portraiture...consider the obvious fact that a photograph is a mechanical accurate process but it still takes a lot of skill to take a photograph which captures a person they way you actually perceive them. When you look at a scene it's not like just taking a photograph, your brain does a lot of processing to sort out what is and isn't important and a big part of art is understanding that process. I'm printing that out and posting it on the wall of my studio for a while. Good portrait, the hair is always tough and perhaps you could give it a bit more volume on the sides. The area that you forgot is the base. How the sculpture sits and how it ends is very important and you have not given us anything to see below the chin. We want to see something below the chin... In my humble opinion. Thanks you for taking the time to look at my piece. I sometimes see portrait sculptures without the upper body and they just kinda rest like that. Supported maybe on a metal pole. I was going for that effect. But I guess that could pose problems when trying to dry it. I looked at your work and it is excellent! Thank you again.